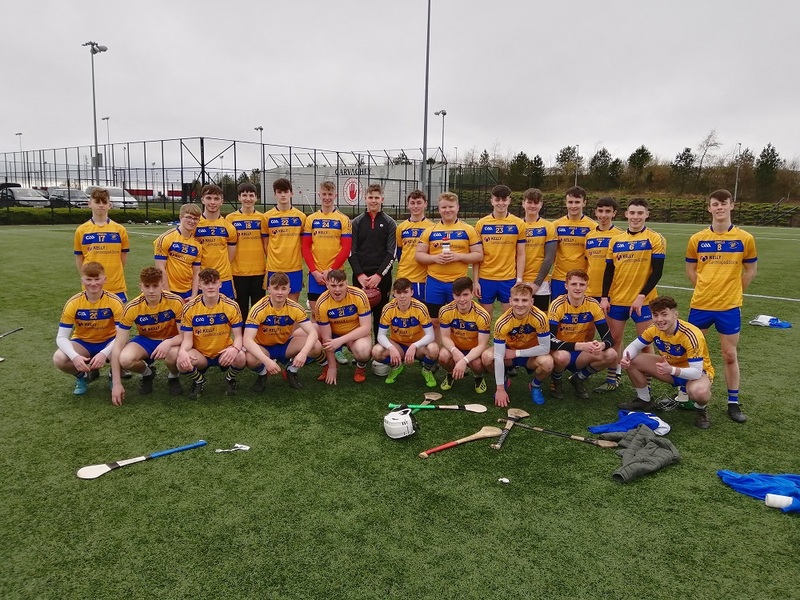 Loreto’s senior hurlers were victorious in the final of the Casement Shield against St. Michael’s Enniskillen. Loreto seized the initiative early on, capitalising on three goal opportunities superbly taken by Dara Mooney (2) and Conor Moore (1). However, St. Michael’s quickly found their feet again and came back very strongly at the Coleraine school. The Fermanagh men enjoyed a period of dominance up until half time and found themselves 3-6 to 3-3 to the good at the interval. Loreto regained their shape for the second half and sparked into life again after another goal from Dara Mooney. Building on the momentum arising from this goal, Loreto slowly took the upper hand in this fiercely competitive game, tagging on points through Eoin McKeever, Kosta Papachristopoulos and Dara McGoldrick. St. Michael’s refused to give up and remained well in contention adding three more points to their tally. Going into the last 10 minutes Loreto managed to clinch victory when Peter Passmore kicked the ball to the net after a goal mouth scramble which came from a high ball. Loreto: Leo Passmore, Oisin T Doherty, Kosta Papachristopoulos (0-1), Cahir Coll, Eoin McKeever (0-1), Conor McKelvey, Thomas Doran, Cathair McCloskey, Lorcan McMullen, Dara McGoldrick (capt.) (0-3f), Callum Boorman, Rory Maguire, Conor Moore (1-1), Sean Scullion, Dara Mooney (3-1). Subs used: Danny McGarry for Callum Boorman, Peter Passmore (1-0) for Rory Maguire.